The Latin word for change is mutatio; which means to move or shift. Change happens in life! People change. Jobs change. Majors in college change. Relationships change. You get the picture! But one of the two hardest things to change is CHURCHES & COMMUNITIES. So true. Those changes don’t just happen. Someone has to be the change maker! If you want to see God change your community you have to be proactive! Prayer is the starting point but it is not the only thing we have in our gear! We must be actively involved in seeing God change our communities. Church is the same. We can’t just hope for change we have to help change take place. 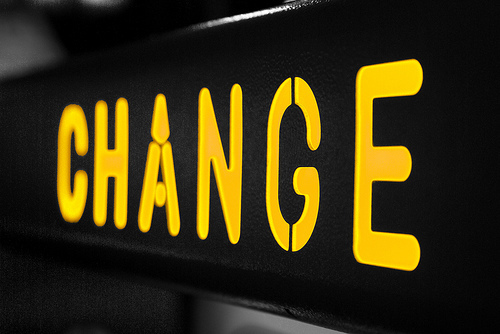 Change is what we look for in lives and it must be built into the DNA of our churches. Shift doesn’t just happen. We have to make it happen. To effect real change we have to be aggressive and focused on what God wants to do in our churches & communities!